Bedford River Valley Park offers a diversity of opportunities for anglers; from the wide open spaces of Priory Lake to the much smaller Finger Lakes at Priory and then the tranquility of the River Great Ouse. Many species of course fish are out there waiting for your maggot. 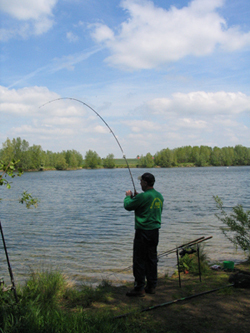 Fisheries are managed predominantly by the Blunham Angling Club, Bedford Borough Council Rangers and Bedford Angling Club. 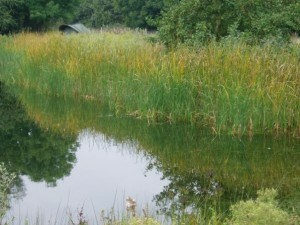 Blunham Angling Club (blunhamac.co.uk) and Marston Vale Trust have an agreement whereby Angling takes place on the River Gt. Ouse, Dovecote Lake and Washpit lake located in the Grange Estate Willington. This has taken place in an environment which has been changing with the ongoing Gravel Workings within the Estate. 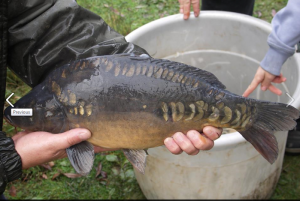 One of the real success stories has been the development of Dovecote Lake as a fishery. Blunham AC put in a stocking of 100 carp average weight 4 lbs back in 2007, followed up by similar numbers stocked in 2008 and 2009. The aim of this was to introduced relatively young strong fish that would eventually grow to specimen sizes in excess of 20lbs, this being highly desirable for recreational angling. 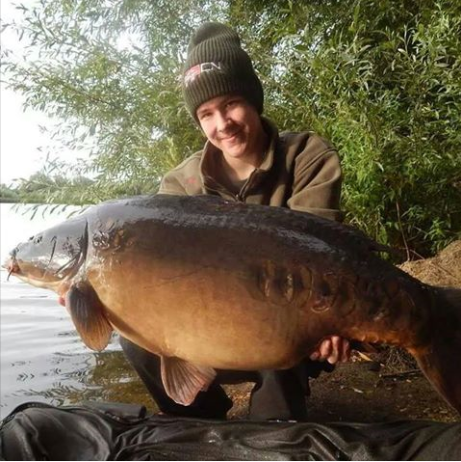 Many of the carp stocked have now exceeded 20lbs ,a few have reached 30lbs and one fish stocked in 2007 achieved a weight of 41lbs 6oz in September 2014. The pictures below show the fish when stocked at 4lbs 3ounces and when it was caught by local angler Cain Naylor at 41lbs 6oz. Another joint venture between Blunham AC and MVT was to establish bank-side vegetation around Dovecote Lake consisting of Norfolk Reed(Phragmites) and Bulrush (typha). 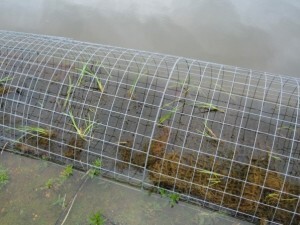 This consisted of installing 1 metre square pallets of about 20 plants for a total of 500 metres interrupted by gaps allowing angling access. 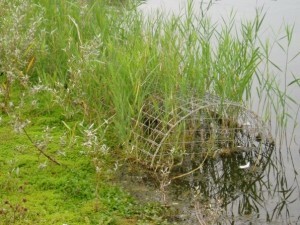 To protect the new plants a metal oval cage was placed over the pallets which were introduced at the lake edge. This work was undertaken in 2012 at a cost exceeding £20k , with the money raised through grants to MVT and from Blunham AC. The vegetation provides an excellent environment for aquatic and bird life as well as reducing erosion around the lake edges. As a further feature a drain off channel was installed in 2013 so that if the lake floods from the river it can drain back to a normal level once the flooding has stopped. Pictures below show the initial installation with the metal cage, the growth after 4 months and finally the growth after 2 years. This project was delivered through a partnership involving Blunham Angling Club, Forest of Marston Vale Trust and WREN Aggregates.